It continues a special dispensation granted last year for duration of the Year of Mercy, which finished Sunday. The letter states: "I wish to restate as firmly as I can that abortion is a grave sin, since it puts an end to an innocent life. In the same way, however, I can and must state that there is no sin that God's mercy cannot reach and wipe away when it finds a repentant heart seeking to be reconciled with the Father." "May every priest, therefore, be a guide, support and comfort to penitents on this journey of special reconciliation," the letter continues. "I henceforth grant to all priests, in virtue of their ministry, the faculty to absolve those who have committed the sin of procured abortion." The Catholic Church has long held that abortion is a grave "moral evil," with the Church's strong position on the issue driving many Catholic pro-life groups. But Pope Francis announced a shift in the Church's position last year when he said that priests around the world would be authorized to forgive the "sin of abortion" for the duration of the Church's Year of Mercy, which ran from December 8, 2015 to November 20, 2016. In some regions, such as in the US, many priests already had the power to forgive abortion. Vatican officials described the announcement last year as "a widening of the church's mercy." 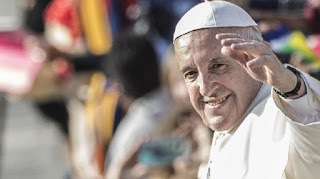 Church officials had indicated at the time that it was possible that Pope Francis would opt to allow the changed policy to continue in perpetuity, as he has done. Pope Francis has forged a more forgiving, merciful direction for the church during his papacy.